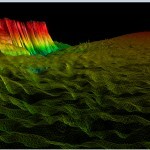 We provide hydrographic survey using the latest technology available on the market. Our goal is to provide customers with high quality bathymetry maps following QA/QC internal procedures that comply with international IHO S-44 standards, from acquisition to processing. 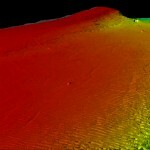 We integrate bathymetric data with other types of digital terrain models (DTMs). Depth measurements can be done using two constructive types of sonars, conventional multibeams and interferometric sonars. We use pole-mounted interferometers for rivers or shallow and extremely shallow marine areas and AUVs for marine waters and inland lakes and reservoirs. Bathymetry deals with determining the depth of the water in seas, lakes and rivers. 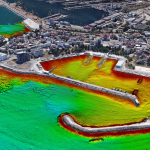 Bathymetric maps can be used for a wide range of applications such as: navigation charts, assessing sediment erosion or accumulation, underwater landslides, sea level fluctuations, subsidence, engineering applications. 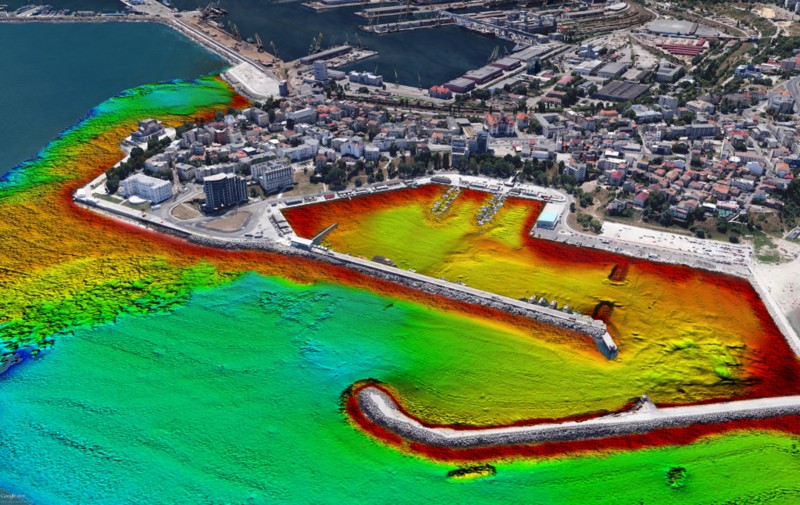 We provide integrated bathymetry services matching your needs by choosing the right equipment and survey approach. 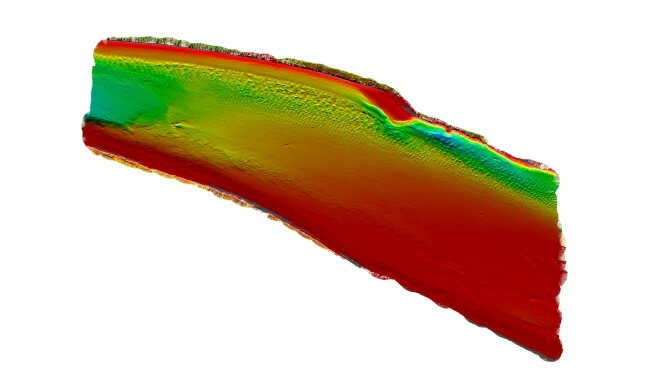 We can offer the whole range of bathymetric survey from cost efficient single beam profiling to full coverage swath bathymetry using modern multibeam and interferometeric sonars. We can provide a very high 1.5 mm vertical resolution and centimeter level positioning with RTK corrections. 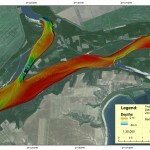 Interferometric sonars provide a wide angle enabling the measurement up to the land - water limit. Our Satellite Derived Bathymetry (SDB) uses state of the art technology to provide bathymetry at a resolution of up to 0.3 m. It is most useful in extremely shallow waters where navigation safety is an issue such as shoals, reefs, and proves to be very efficient in harbours and coastal areas. This method is worldwide validated and its key benefits are remote access to difficult and impractical areas, cost efficiency and fast project delivery. SDB is a nonintrusive method, useful both in small and large areas, suitable for marine protected areas. There are no health and safety risks, as in conventional bathymetry survey. There are no special permits and mobilization requirements. The results may be calibrated using our singlebeam or multibeam sonars or data provided by the customer. Our team can provide related services including water-quality monitoring and seafloor classification. Due to the faster water flow around construction piers, deep scours can develop. They can threat the structure itself. Bathymetry surveys are therefore a must for assessing the dimensions and evolution of scour development and evaluate the associated risks. 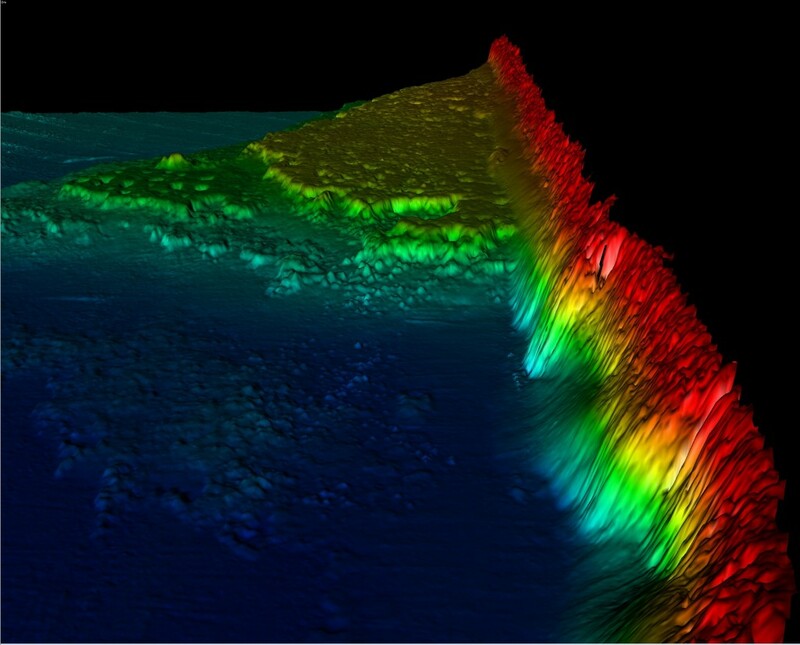 For a proper understanding of scour development and evolution we recommend full swath coverage using multibeam or interferometric sonars. It provides good quality data, valuable in understanding bottom morphology and the necessary tools for the quantification of the eroded volume of sediments. Microbathymetry offers information regarding how much the structure is exposed by erosion processes. Dredging activities have the purpose of removing unwanted bottom sediments and their disposal at a different location. 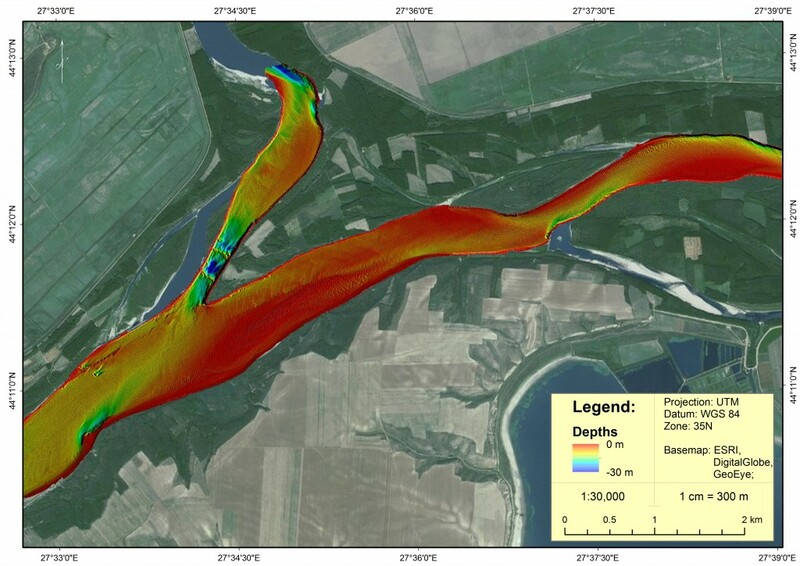 A good bathymetry study is necessary for a successful planning of future dredging works and is also important for monitoring the related evolution and modifications. The comparison of bathymetrical grids prior and after dredging can help monitoring the real volume of removed material, being a useful tool for assessing the total volume of dredging works. 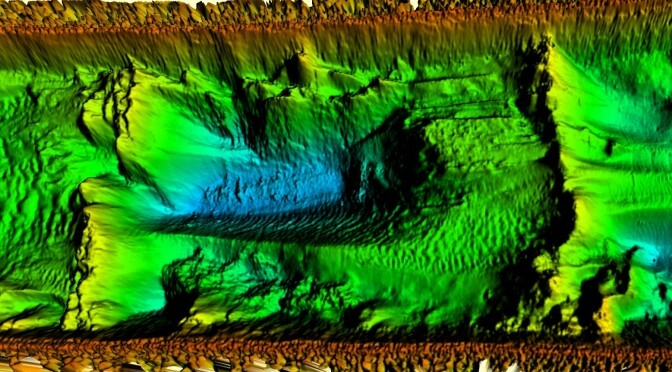 Sub-bottom profiling is a valuable addition for the understanding of the subsurface architecture of sedimentary bodies, including buried hard rocks that cannot be dredged and could prove a hazard for the dredging equipment. Cables and pipes are deployed on the seabed for underwater hydrocarbon transport, power supply and communication with offshore structures. Bathymetry measurements are important for laying out the plans for future pipe and cable routes. They provide information regarding the water depth variations and slope gradients, substrate type and navigation hazards. After a swath bathymetry survey, cable and pipe paths can be easily traced and mapped for further investigations such as ROV inspections, magnetometer, pipe tracking surveys and sub-bottom profiling. 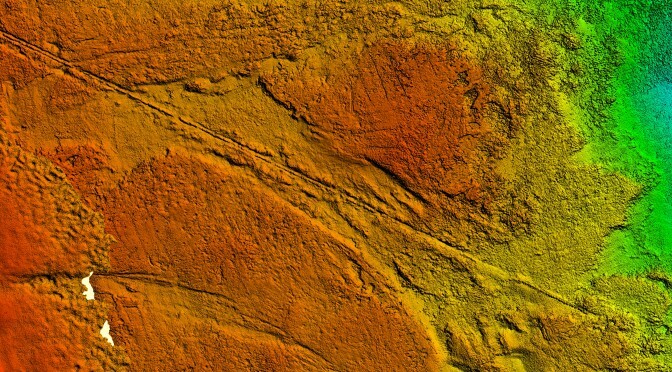 Microbathymetry relies on high resolution and precise acoustic imaging. 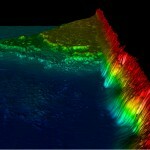 High accuracy and resolution multibeam sonars are used. 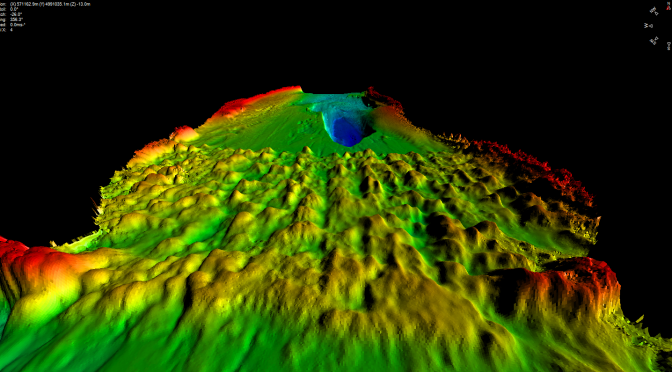 Resulting data is a cloud of georeferenced sounding points that can be visualized in 3D. The workflow comprises multiple scanning either with remote controlled vehicles or with autonomous vehicles from various vantage points. Following the high precision and resolution data, distances and surfaces can be very rigorously measured. Applications include 3D site surveys and structure inspections, dam, bridge and harbour inspection, archeology related activities and scour and erosion monitoring.